Formed in 1860 as the Army Gymnastic Staff, the Royal Army Physical Training Corps (RAPTC) has been keeping the British Army in shape for just over 150 years. Drawn from every regiment in the army, prospective candidates undergo 30 weeks of intensive training before qualifying as a Royal Army Physical Training Corps Instructor. Based at the Army School of Physical Training in Aldershot, over the course of its history the RAPTC has trained countless instructors, including Olympic medallists Dame Kelly Holmes and Kriss Akabussi. 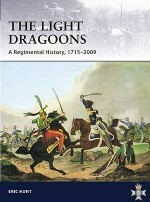 This is a complete history of the RAPTC from its formation to the present day, illustrated with stunning images from the regimental collection, including historical photographs, commissioned pictures of objects and fine art, and facsimile reproductions of documents.